Consumer Unity and Trust Society (CUTS International) and CUTS Institute for Regulation & Competition (CIRC), organised a Panel Discussion on ‘Digital Economy, Innovation and Competition’ to celebrate the World Competition Day on December 05, 2018, at India International Centre (IIC) in New Delhi, India. 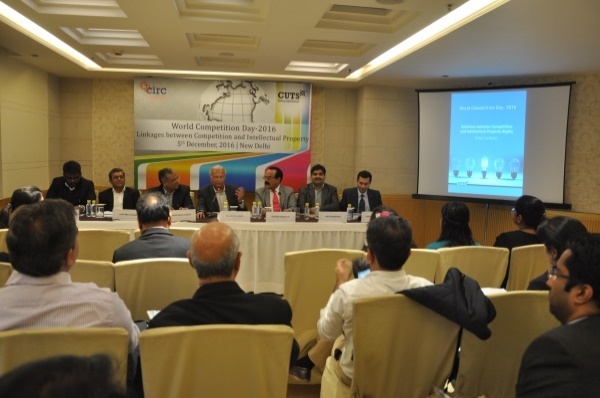 CUTS International in collaboration with CUTS Institute for Regulation & Competition (CIRC) organised a panel discussion in honour of World Competition Day on Monday, 5th December 2016. Togo: As part of World Competition Day 2016, Association Togolaise des consommateurs (ATC Togo) organised an event with the theme “Competition in the cement sector in Togo.” As pricing irregularities in Togo’s cement sector prevail, ATC asked the government to disclose the pricing procedures and put one regulatory authority in place. 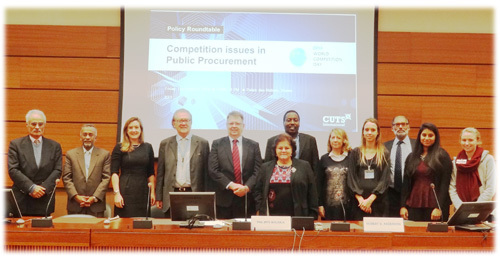 CUTS International, Geneva in cooperation with the WTO Intellectual Property, Government Procurement and Competition Division organised the roundtable discussion on 5th December 2016. 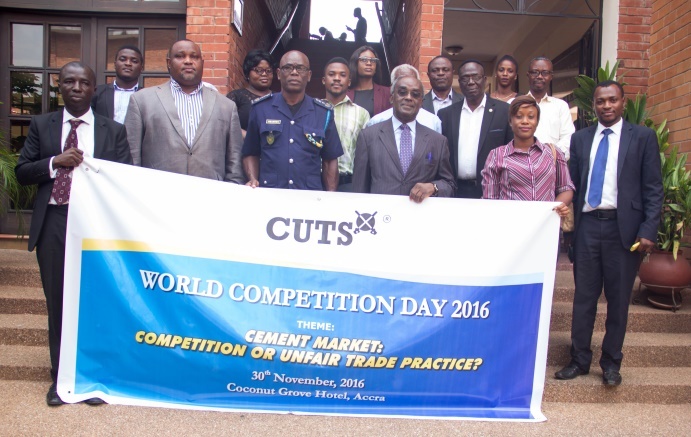 CUTS Ghana organised a policy dialogue on “Cement: Issue of Competition or Unfair Trading Practice?” on November 30, 2016 in Accra (Ghana). 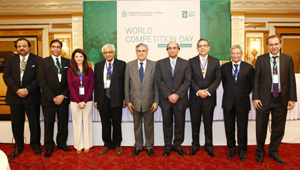 The Competition Commission of Pakistan (CCP) organised a seminar to celebrate the World Competition Day in Marriott Hotel Islamabad today, which was attended in large number by the government officials, regulatory organizations, representatives of business community, trade associations, legal community, academia and media. 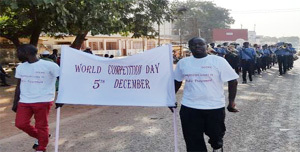 The Gambia Competition and Consumer Protection Commission (GCCPC) celebrated World Competition Day on 5th December 2014, in partnership with the Gambia Public Procurement Authority (GPPA). The Commission deemed it necessary to co-celebrate with GPPA on account of this year’s World Competition Day (WCD) theme: ‘Competition issues in Public Procurement’, as GPPA is the national authority mandated to regulate and monitor public procurement in the Gambia. 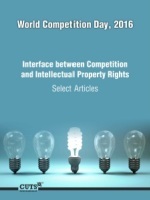 The Competition Authority of Botswana joined other competition agencies and civil society organisations on December 5th in commemorating World Competition Day under the theme ‘Competition Issues in Public Procurement’. 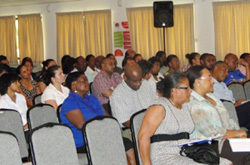 To observe the day, the Authority hosted a panel discussion based on the theme. 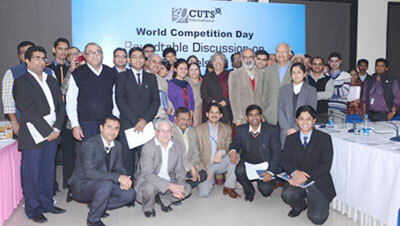 A special programme was organised by CUTS International and CUTS Institute of Regulation and Competition (CIRC) to commemorate the World Competition Day on the 6th of December, 2014 at Delhi. 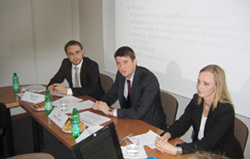 Antimonopoly Office of the Slovak organised Business breakfast meeting with the chairman of the Office. 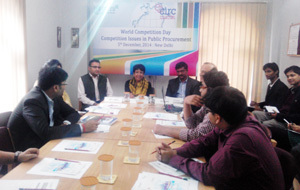 CUTS organised a roundtable discussion on ‘Impacts of Cartels on the Poor’ on the occasion of World Competition Day, a campaign running by CUTS to observe the day on 5th December since 2010. 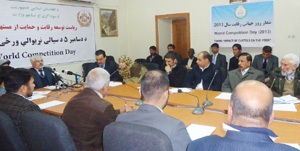 This day was commemorated in form of a press briefing. 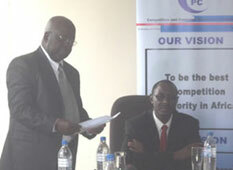 It was jointly organised by the Competition and Consumer Protection Commission (CCPC) and CUTS International Lusaka. 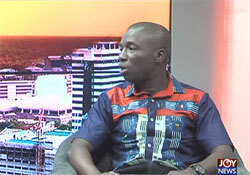 CCPC and CUTS decided to date the media from an understanding that these are stakeholders that mold the opinion of citizens; and a mindset molded on pro-competition reforms and anti-cartels, is the recipe that Zambia needs. Among the media institutions represented included Zambia National Broadcasting Cooperation, Muvi TV, Radio-Phoenix, Joy FM, QFM, 5FM Zambia Daily Mail and Times of Zambia. Albanian Competition Authority (Autoriteti i Konkurrencës) organized a round table and press conference on the occasion of the World Competition Day. 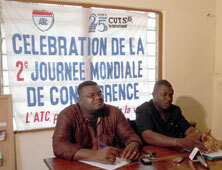 l’Association Togolaise des Consommateurs (ATC) organised a press conference on the occasion of the World Competition Day. 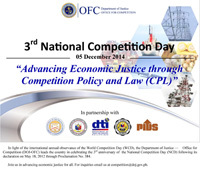 The Press Conference was an effort to make the agenda of better competition regimes forward in the country.